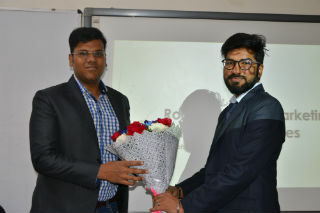 JIMS Rohini organised a guest lecture on “Role of Retail & Marketing in Financial Services” for PGDM-Retail Management students (batch 2018-20) on 19th January 2019. The resource person of the session was Mr. Abhishek Kansal, Assistant Manager - Aditya Birla Sunlife AMC Ltd. (Alumnus PGDM - RM batch 2015-17). 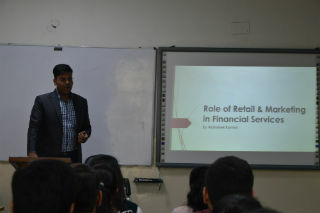 He gave insights to the students on the scope of retail and marketing in the financial services sector. 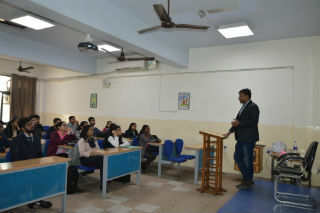 He discussed with students the skillset required for selling the financial product / service to the customer. The session mainly focused on the mutual fund industry and pitching and selling of mutual funds to the customer. 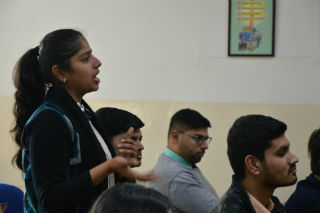 Students participated in the discussion very enthusiastically. Mr. Abhishek solved all the queries and doubts of students related to placements and market environment. It was an interactive session which added value to the knowledge of the students.